The Louisville & Nashville's streamliners often aren't as well-remembered as others although one of its more notable trains was the Humming Bird. While the train was a low key, no frills operation affordable to most of the general public the railroad advertised it as an elegant, top notch affair (which it very much was). The Bird originally operated only between Cincinnati and New Orleans but later a later partnership with the Chicago & Eastern Illinois connected the train with Chicago via Evansville Union Station. Interestingly the train continued to receive good patronage through the early 1960s for intermediate connections. However, by the latter years of that decade interest in rail travel by the general public was fading all across the industry and the L&N wanted to rid itself of the money-losing operation and abruptly ended the train in 1969. The Louisville and Nashville, a railroad synonymous with the southern states and southeastern US, served major cities from New Orleans and Memphis to St. Louis, Atlanta, and later Chicago. The L&N is also one of the few classic fallen flags to never have had its original chartered name changed at any point throughout its history, serving its home state and the southeast for over 120 years known as simply the Louisville & Nashville. While the railroad would become part of the burgeoning CSX system it was a highly respected and well-known transportation company for much of its existence. 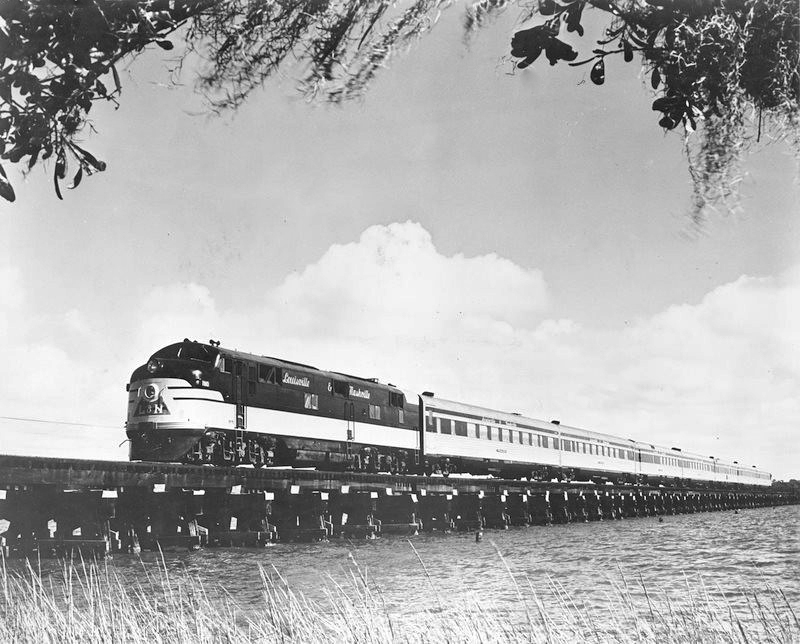 South Wind: Operated between Chicago and Miami in conjunction with the Florida East Coast Railway. The Humming Bird had its beginnings dating to 1946 when the L&N inaugurated it as an all-coach streamlined operation between New Orleans and Cincinnati. The equipment for the train came from American Car & Foundry and was most certainly nothing fancy including only coaches, diners, and lounges. On board, the train featured none of the amenities often found on other long distance trains like observations or sleepers (later, though, lightweight sleeper service was added after 1953 with the purchase of 29 new cars for most of the L&N's fleet at that time, which replaced a set of heavyweights the train had been using since 1949). However, this low-key operational approach is partly what the train popular as it was a fast, efficient, and a low-cost means of transportation (the train did receive Pullman service by the early 1950s). In 1951 the Bird increased its operating territory by providing services to Chicago via the Chicago & Eastern Illinois, which picked up the train at Evansville, Indiana and handled it into Chicago (through sleeper service was also offered to St. Louis). Due to the fact that the train operated in a market (New Orleans – Chicago) already dominated by the Illinois Central its success mostly hinged on passengers traveling to intermediate stops between the train’s two terminating cities, a feature that turned out to be highly successful. Originally, the train's locomotives were bedecked in L&N's handsome deep blue and cream with red trim while the cars featured a combination of deep blue and stainless steel. 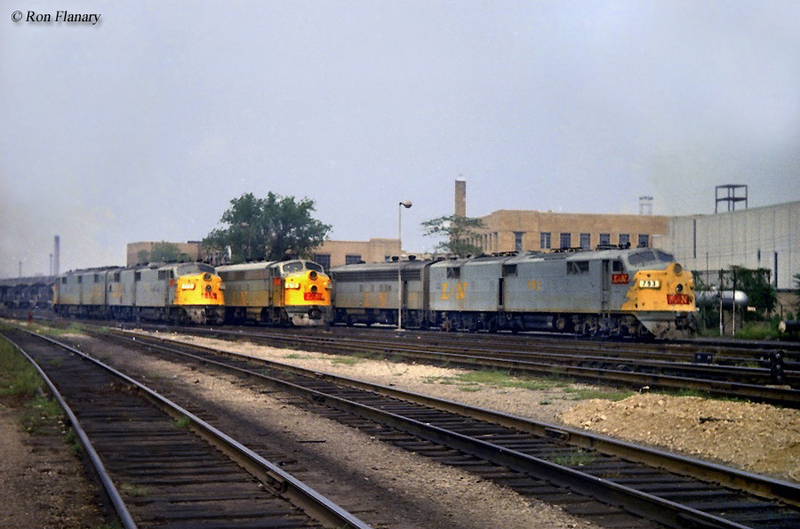 In later years the railroad changed to a general livery of grey, yellow, and red for all its equipment, including freight. While the passenger trains still carried a level of good looks the new paint scheme was simply not as catching as the original. It should also be noted that the Bird had a sister train, the Georgian. This train operated between Atlanta and St. Louis, providing the only direct connection between St. Louis and Atlanta although was never a particularly popular run (after just two years it was rescheduled as an overnight run between the two cities). According to the Louisville & Nashville's 1947 timetable the Bird, listed as trains #5 and #6, could make the jaunt between Cincinnati and New Orleans in exactly 19 hours averaging a speed of just a touch over 48 mph. The train's original consist including five coaches, a tavern-lounge, and a diner (it later featured through sleeper service to St. Louis and Montgomery, Alabama). 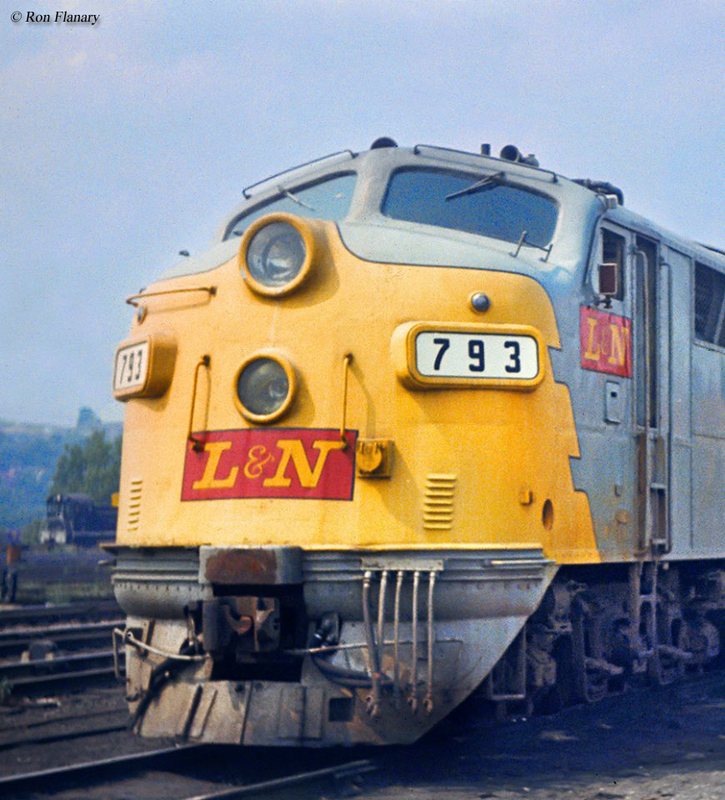 As with the rail industry in total, the 1960s were not kind to L&N passenger operations in general and the railroad began looking for ways to exit the business entirely. Interestingly, the railroad was so quick to call it quits on the Humming Bird that it discontinued the train in the middle of its run in 1969, stranding passengers and making news all over the country! Unfortunately, it was a sad ending to one of the South's finer streamliners and just one L&N train ultimately survived into the Amtrak era, the South Wind, which was revived in November of 1971 and later renamed as the Floridian. It maintained service until October 9, 1979.